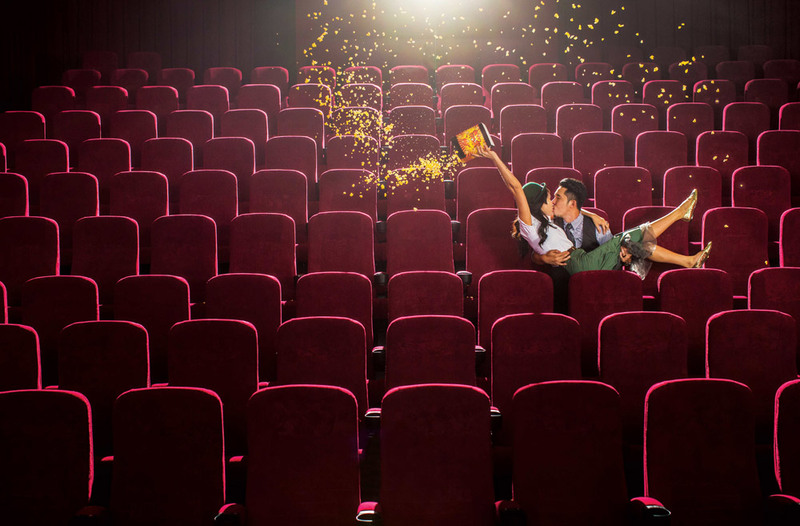 Do-it-yourself weddings have taken off in popularity and it’s a chance for couple’s to show some creativity. The chandelier was a brilliant alternative to a tedious Pinterest tutorial. Thanks, Andri Tei Photography, for sending us this set. Maryanne: “Most of our memorable moments were shared with the people that we love the most. It was a great moment to see my parents and my sister in the morning before the whole day began, having our family and friends witness our union in the presence of God, and being surprised by my husband who composed a song in English and Mandarin. That was a real pleasant surprise. “It was really amazing to walk into the dinner space at Food for Thought and see how everything had come together; it was even better than what we could have imagined. Our favourite part of the evening was when my husband and I took time to give each family member and our spiritual parents a personalised speech, and give them gifts to honour them and thank them for building our lives and loving us. It was a special moment to express our love and appreciation to each of them. We are proud of this couple who coordinated their own wedding. Once in a while, you’ll see a groom who really wants to be involved, and in this case, it was because he wanted to see his bride happy! 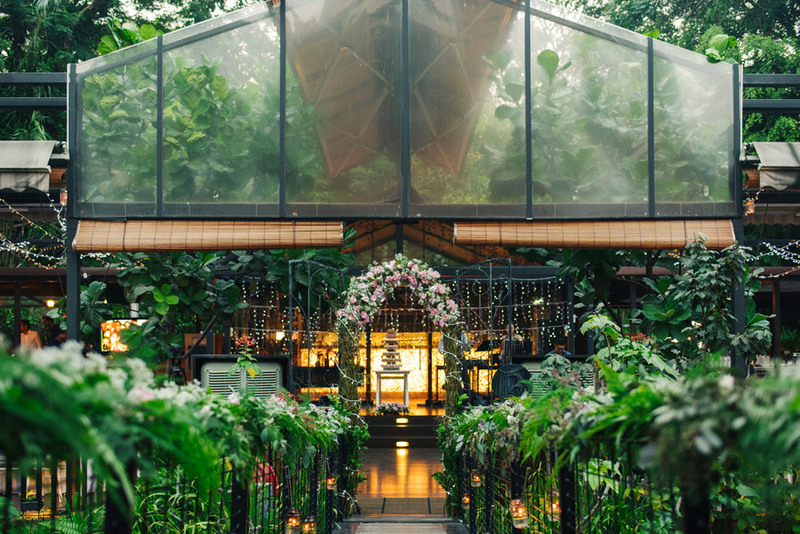 We love this wedding not just because of the romantic venue, but also the way they gave it character so they could call it their own. 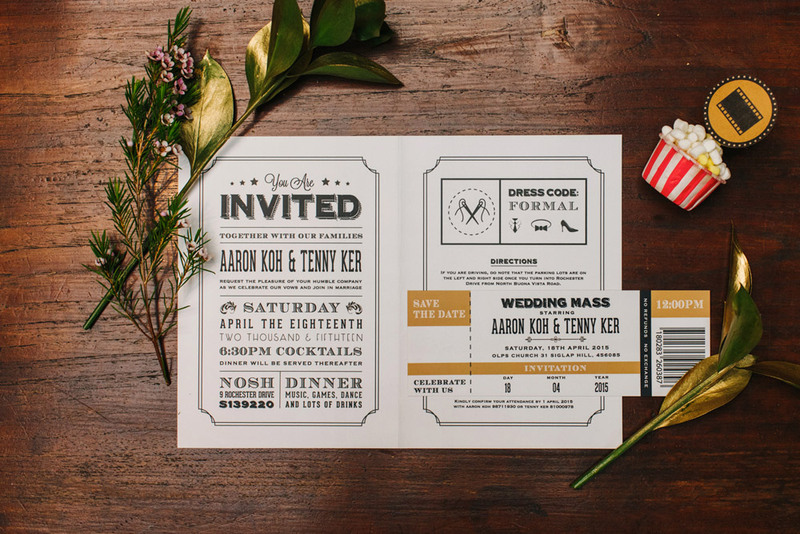 Since both Tenny and Aaron are from an advertising agency, their wedding was filled with quirky copywriting, and they successfully engaged their guests with lots of laughter and tears of joy. 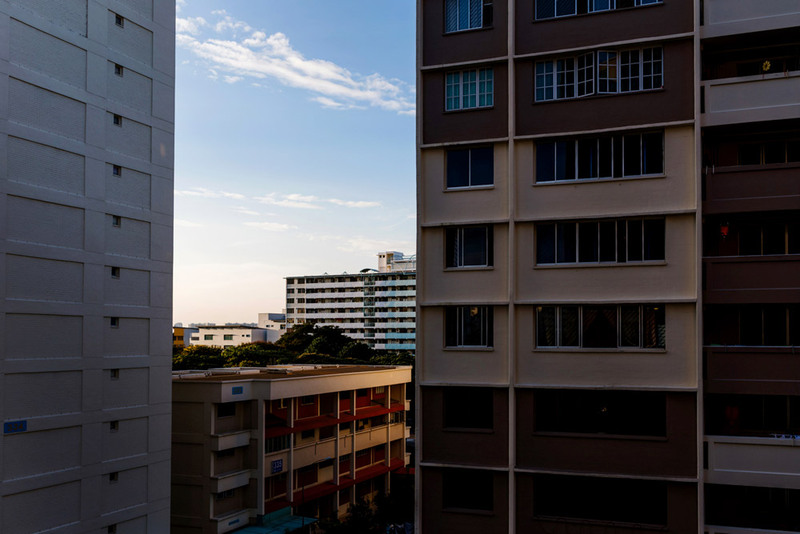 Thanks, Bloc Memoire, for capturing it all on photos for us. Aaron: “The most effort was put into the setup at Nosh. This wasn’t your regular hotel wedding ceremony hence the attention to detail was insane. 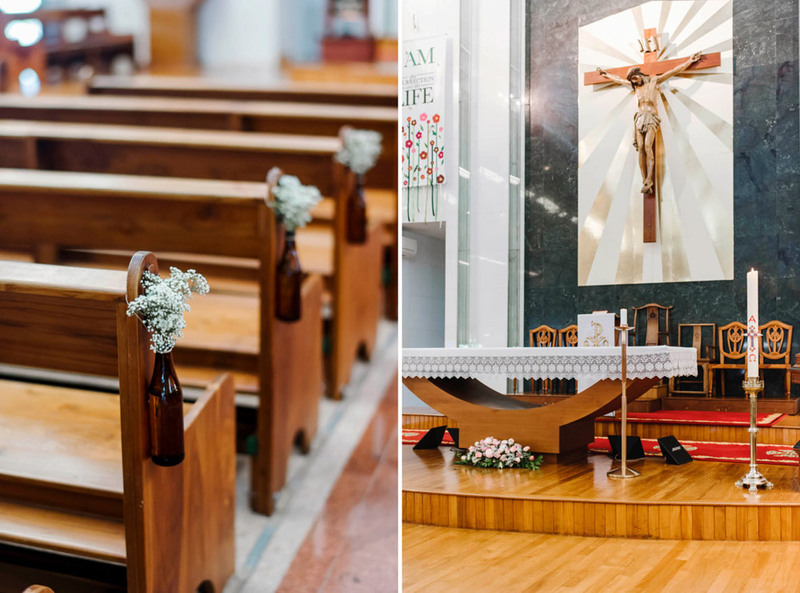 An hour before the guests arrived, I walked around the venue to make sure that everything was done – the flower arrangements, lighting fixtures, photobooths, etc. During this time, Tenny was finishing up her makeup and she was so excited to see everything after being cooped up in her room the whole time. I wasn’t nervous but rather, excited to see her face when we opened the door to see what our months of preparations looked like. My happiest moment was seeing the look on her face when I led her out of the room. She kept going on about how beautiful it looked and how happy she was – she was practically skipping! It was then that I finally understood what ‘happiest day of your life’ meant. 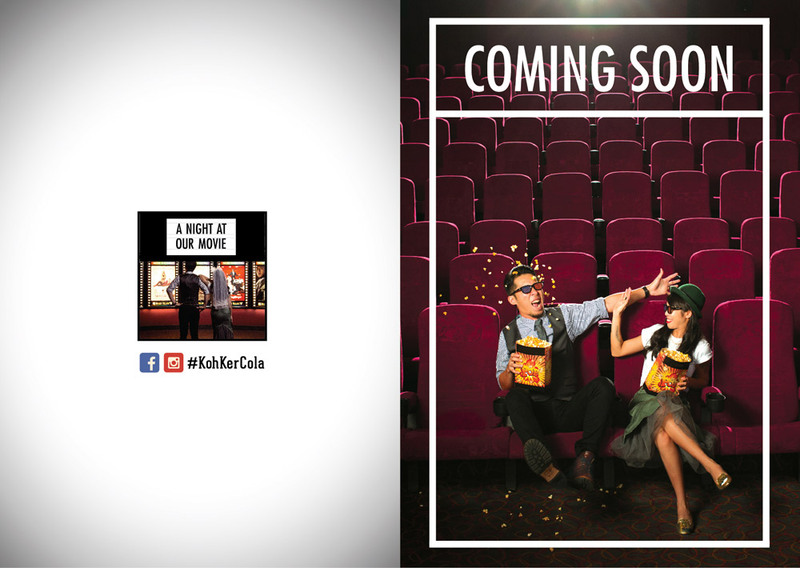 “The concept was simple – ‘A Night at Our Movie’. 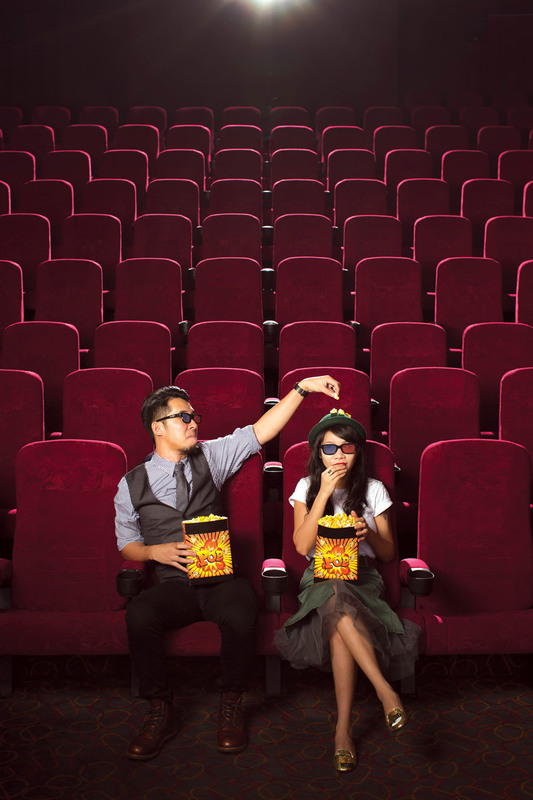 We’re both movie buffs and we often piss our friends off because we would have already caught all the movies they wanted to watch. We wanted to go with a theme that was a little bit out of the norm and something close to our hearts. One of our favourite parts of the job is exploring different types of weddings in Asia. We especially love the rich culture found in Japanese weddings, which are normally more formal than what we might be used to. That wasn’t the case for this wedding, which was held outdoor, and filled with colour and loads of laughter without missing out on the usual customs. Thanks, Daniel, for sharing this with us. We would love to see more brides like this one – she’s one of the few brides we’ve come across who share our sentiment that you do not need to be limited by wedding ideas only for inspiration. 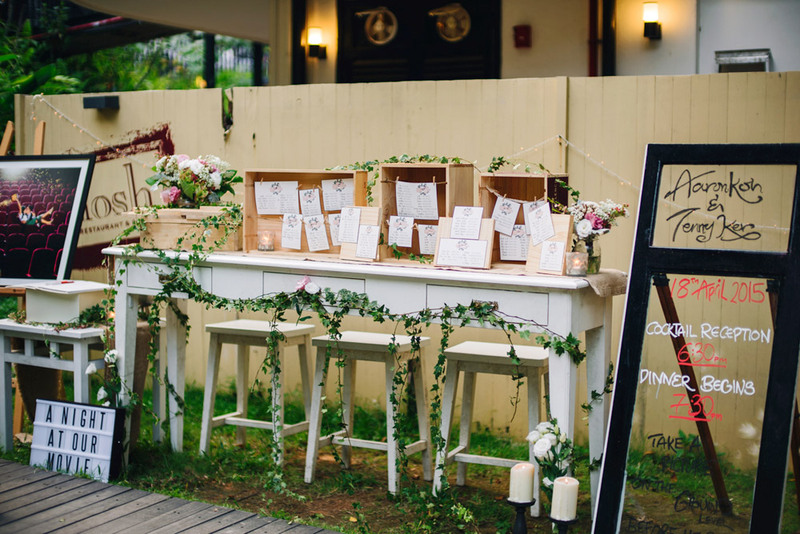 The talented Rachel also designed her own wedding invitations as well as the lettering on the wall, menu and place cards, and the couple did their own décor. Thanks, Jonathan Ong, for sharing yet another lovely story with us. 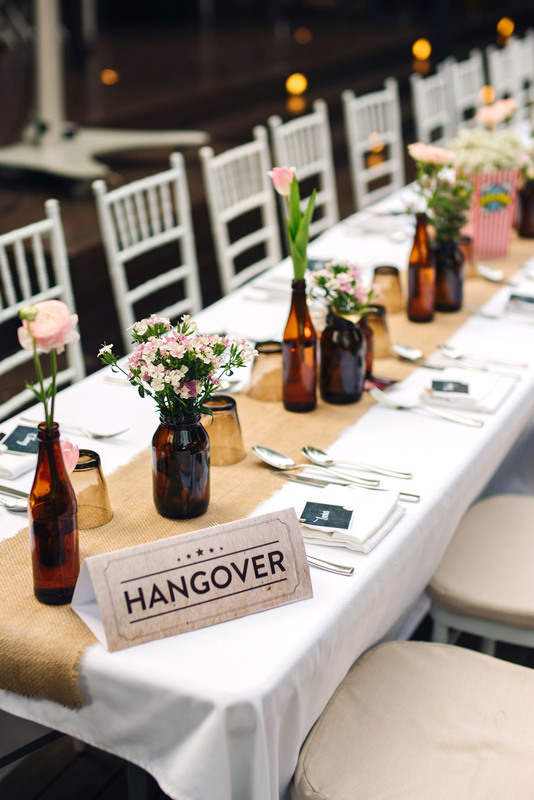 With no décor planned 1.5 months before her wedding, you’ll be impressed at what this bride pulled off. Salute. Thanks, Bloc Memoire, for this gorgeous set. 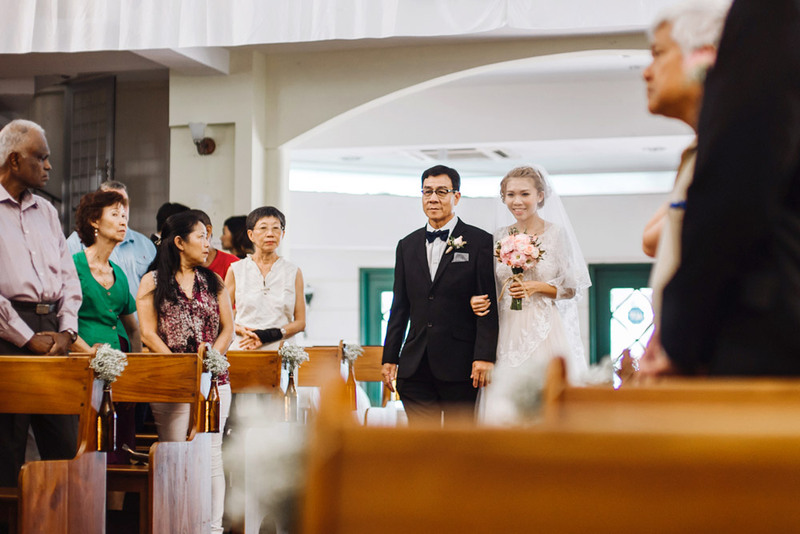 Van Mi: “At the end of the solemnisation ceremony, after exchanging vows with Wei Kiat, I could not help but reach for a hug from my mum, and we both cried tears of joy. My father, seeing this and fighting to control his emotions, turned to my husband and said, ‘Take care of my daughter, yes?’ And my husband replied with such conviction in his voice, ‘I will, dad.’ I guess parents have different ways of expressing their feelings, as this really showed. Instead of flowers and champagne, this bride really invested in the décor and chose something that best reflected the bridal couple – a happy, carnival-themed wedding that was bursting with colour and that surely lifted everyone’s spirits. 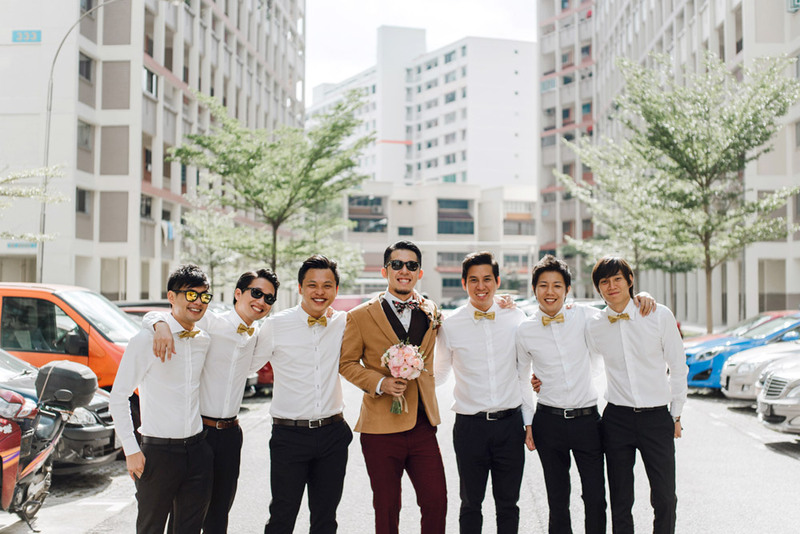 Thanks, Daren Chong, for sending us this beautiful wedding that was styled by Bliss & Glitz. There is something about diving that teaches us about commitment. When faced with a space as vast as the sea, one can literally go and explore anywhere. But the buddy system that is instilled in every diver reminds us to stay committed to the dive plan, while ensuring there is always someone to depend on and to watch our back. This couple is off to a good start – theirs is a theme that their diver friends will easily resonate with, and it’s also a simple way to share a part of their life that means a lot to them with their friends who don’t dive. 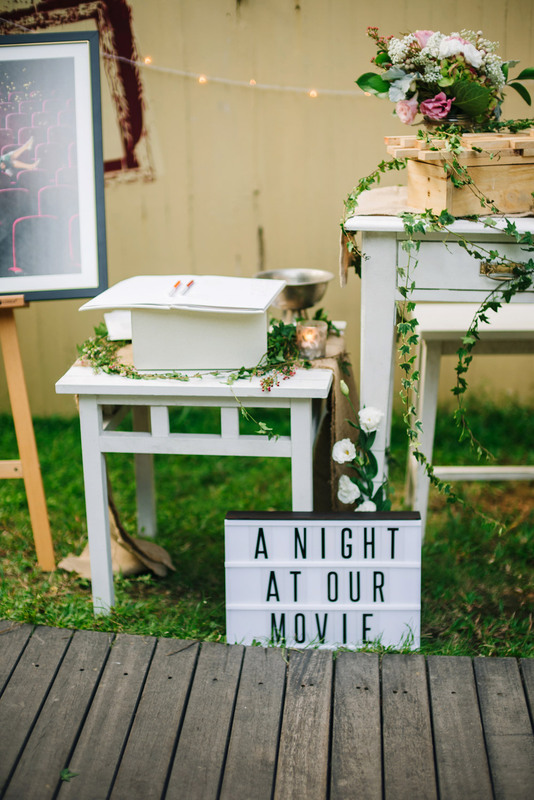 Thanks, Bloc Memoire, for connecting us to this great love story, and for capturing all the beautiful moments and pretty details. Olive: “We are avid scuba divers. We actually met in Malaysia on a dive trip. We were in a long distance relationship for a year, and we met every three months to go diving in the best dive sites in Asia, namely Wakatobi, Sipadan and Bali. “We wanted our wedding to be fun, casual and, at the same time, dreamy and romantic, so when we saw North Border (just by chance! 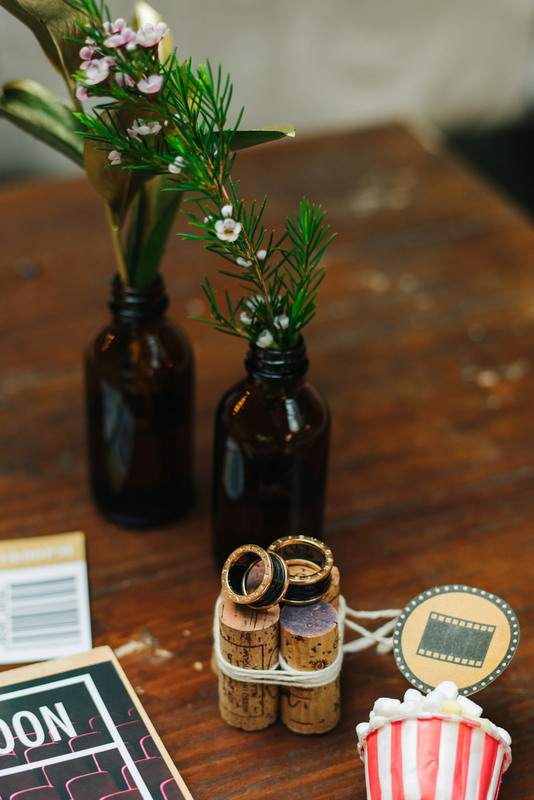 ), we both said, ‘We’ve found our venue!’ We just needed fairy lights to add that dreamy feel. Shi Ying and Kang Lih put together a wedding that was inspired by the Pixar motion picture ‘Up’, though mostly focusing on the shades yellow and blue, which was a wise way of making the theme uniquely theirs. We totally love the details, especially the cake topper! Thanks, WeFreeze, for brightening up our week with this! Shi Ying: “We had guests flying in from all over the world for our big day. Many were our closest friends and family members who had come all the way just for our wedding. We were a very blessed couple indeed. Be sure to check out their website; it’s one of the best we’ve ever seen. We absolutely love it. The ‘Save The Date’ comic gave us a good laugh, especially because it’s what (almost) every bride goes through! 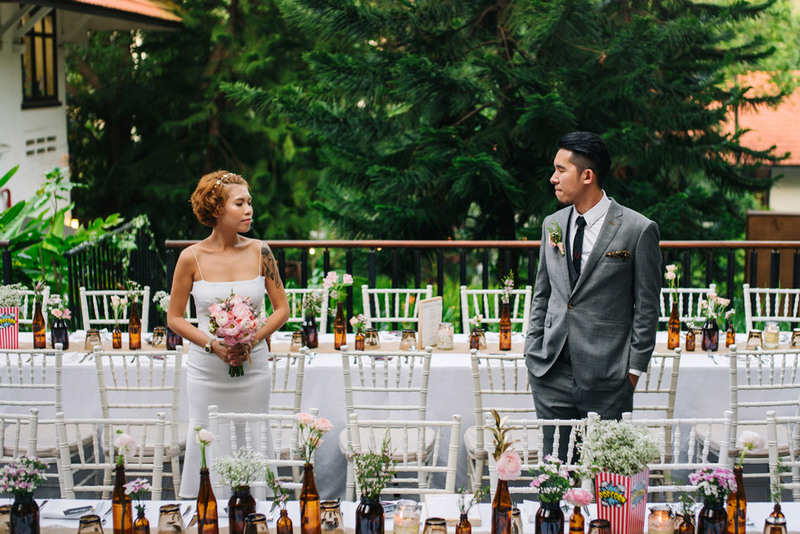 Another couple from Singapore nailed it when they chose a vintage travel theme for their wedding ceremony. Despite the fact that it was in a traditional church, they managed to pull off the theme very well. Their invitations and wedding favours were DIY, and we have to applaud Frances for being one of the rare brides to wear a short wedding dress. Of course, we’ve also got to thank John Lim for sharing these photos with us. Frances: “We wanted our wedding to be different and something that represented us. The concept behind the wedding is vintage, something that we’ve always loved and that is a part of our life. 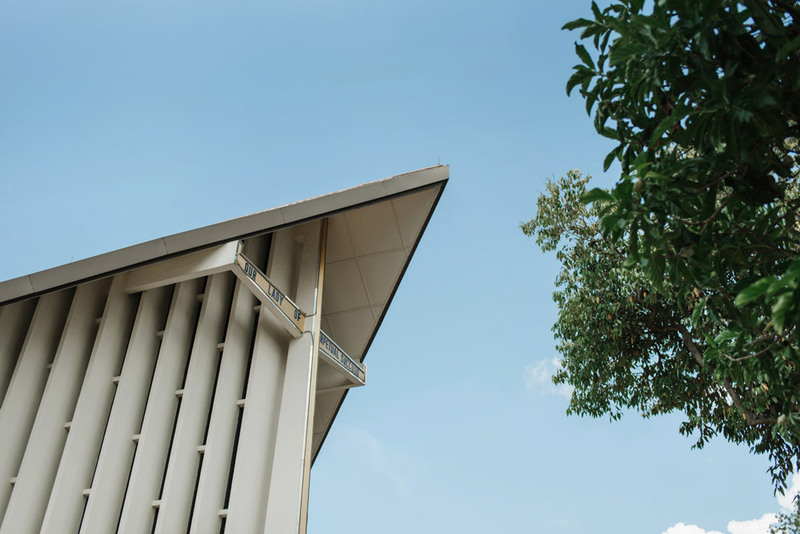 Even the church is apparently the oldest Teochew church in Singapore. “We used a VW Kombi as our bridal car and our own 1976 Vespa Sprint Veloce as part of the decorations. We welcomed our guests with things like maps, suitcases, etc. 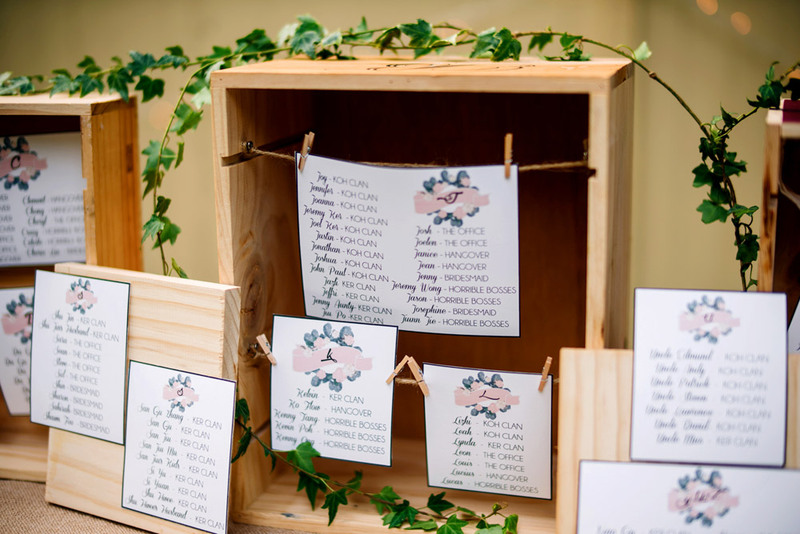 around the reception table, to represent travelling, which we love. To make our lunch area cosier, we had long tables instead of the usual round ones and Tiffany chairs.